Review: Shazam – DC delivers with fun film for most ages! I was excited about Shazam from the first trailer. It looked extremely fun and I had high hopes that it would be great for the entire family. After seeing a preview screening this weekend, thanks to Fandango, I’m happy to say that DC delivered on everything I was hoping for. In Shazam, Billy Batson is a teenager without a family or a permanent home. He is taken into a group foster home and learns what family is truly about. In the process of this journey he happens to become Shazam and with the help of his new brother, figures out what it means to be a hero. I’m usually pretty good at predicting what comes next in most movies but Shazam had some surprised that I didn’t see coming! My advice… Get your tickets and your back issues of Shazam comics now! 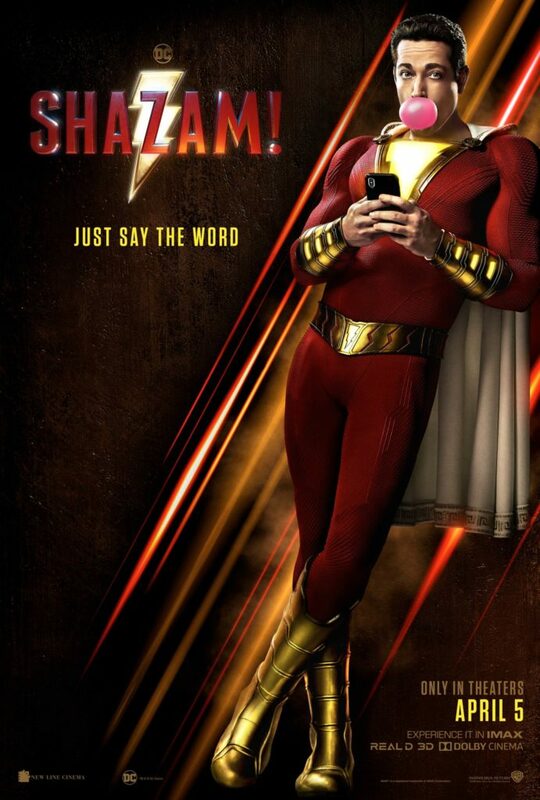 Shazam is a fantastic super hero film and DC comics has shown that its universe is ready for the big screen! Review: Captain America: The First Avenger – AWESOME family movie! Review: Captain Marvel – Boring script, cardboard acting with a couple bright spots.